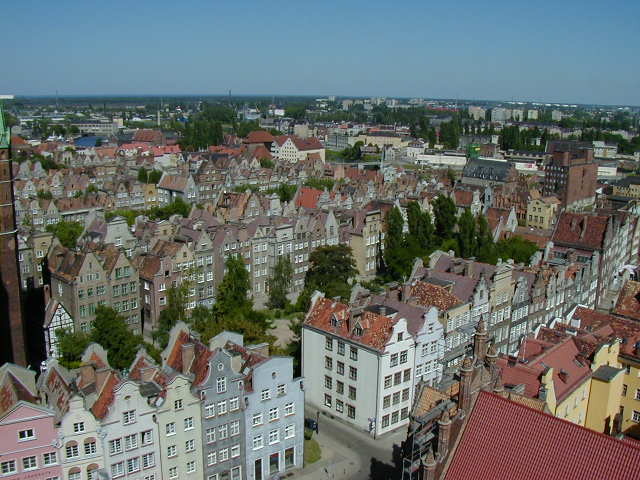 I was in Gdansk for a week in mid-June. I didn't accomplish a lot, just some leisurely sight seeing and souvenir shopping, sampled Polish food (heavy on fat and pork, but the bigos are excellent) and Polish beer. The beer is good and there are many varieties to choose from. I enjoyed living cheap and comfortably at a relaxed pace. Germany had put a pinch on the budget, so Poland was a welcome change. I stayed in Hotel Zaulek for $15 a night. It's conveniently located and the room was shabby but adequate. It was near Dluga where there were several cafes with outdoor seating. Dluga is listed as a street on the city map but is more of a wide pedestrian boulevard. There were some street performers and one evening a visiting choral group did an impromptu performance for no particular reason. It was a great place to mellow out. Not too many people spoke English but that was okay. I enjoy good conversation when it's available but can get along without it when necessary. I did poorly at learning the language. I found Polish, like all other Slavic languages I attempted, to be difficult. Language was a problem when I tried to mail some souvenirs to the U.S. The post offices did not sell packing supplies and finding a place to buy large padded envelopes without speaking Polish took some effort. However I was more than willing to endure the minor difficulties in return for the long warm days, excellent beers at about a dollar a half liter, and big meals for a few dollars. I enjoy places where I can relax without stressing out about money. 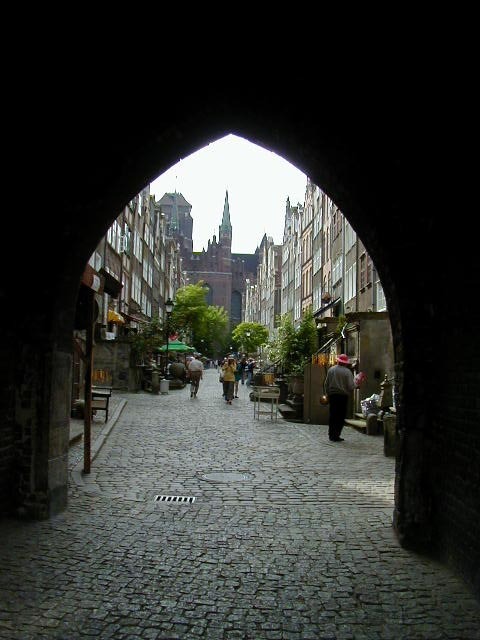 Here are a few pictures of Gdansk, starting with the Golden Gate, which marked the entrance to the Royal Way leading along Dluga street. 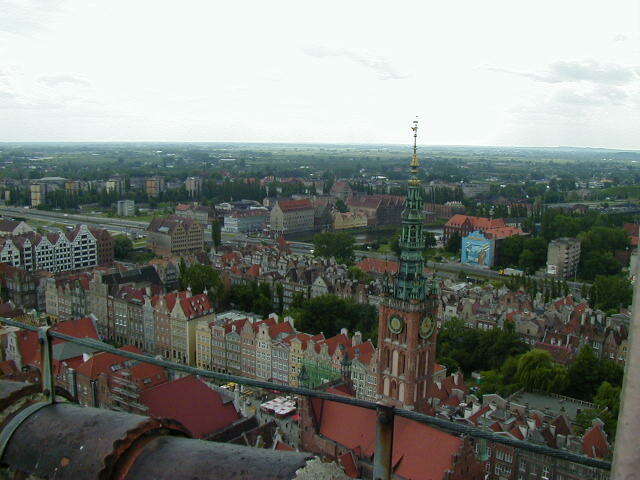 Also some pictures of the Gdansk Main Town, with a zoom on a few restored Burger houses, taken from the top of the Town Hall tower. 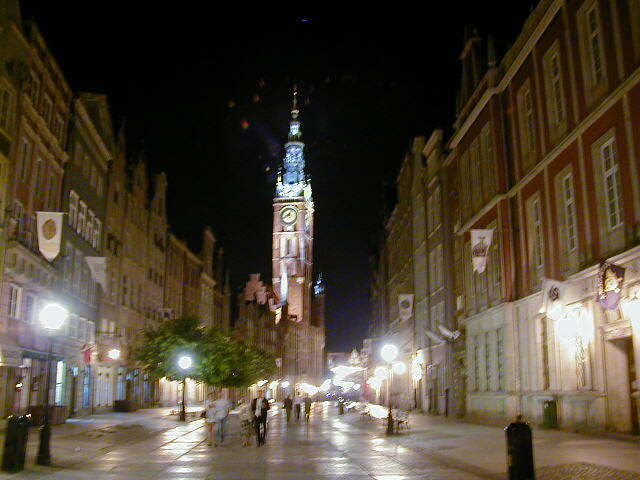 Dluga Street in Main Town at night, and the Town Hall and Neptune Fountain. Mary's street seen through Mary's Gate, and the exterior and interior of St Mary's Church and the 1460's astronomical clock inside. The clock was the largest in the world when it was constructed and was said to have functioned until 1553, only losing three minutes over this period. 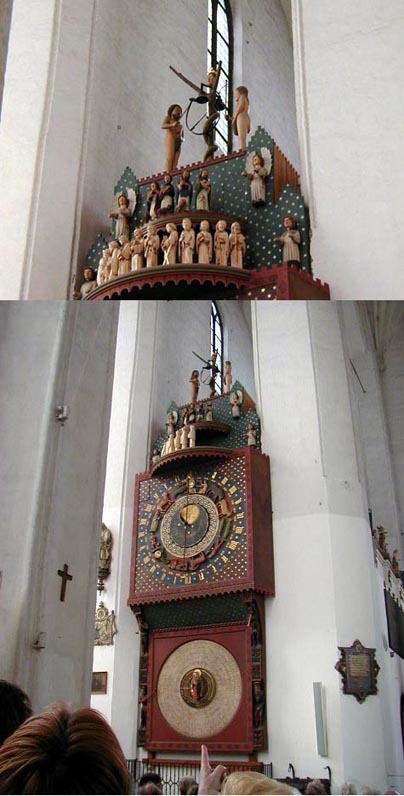 The clock was hidden outside of Gdansk during WWII, then very carefully restored and returned to the church. That's Adam and Eve on top. They ring their bell on the hour. A view of Main Town taken from the top of St Mary's Church. 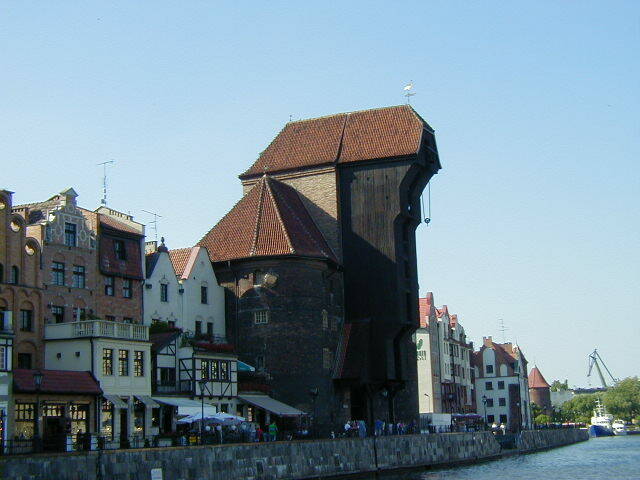 The fifteenth century Gdansk Crane Building on the Motlawa river. Two wheels five meters in diameter are inside with a rope wound around the axle. People would turn the wheels by walking inside them to raise or lower cargo from ships on the river below. 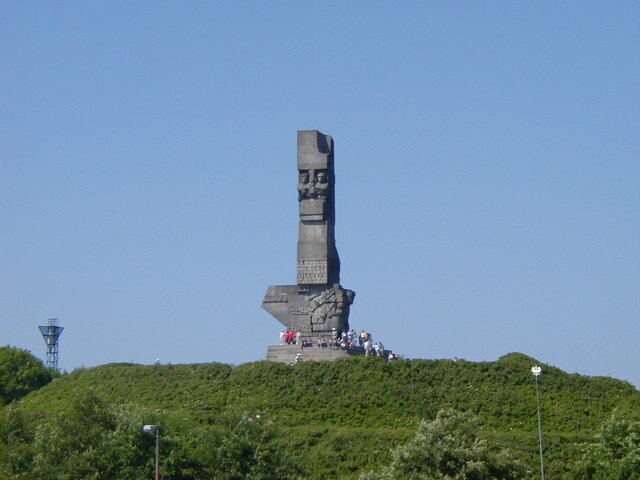 The World War II monument at Westerplatte. 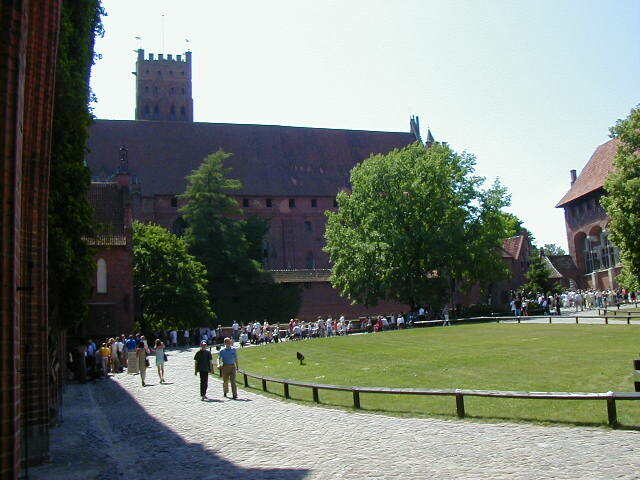 Marlbork Caste was begun by the Teutonic Knights in the late thirteenth century. The knights were there to conquer the pagan regions and convert the people to Christianity. 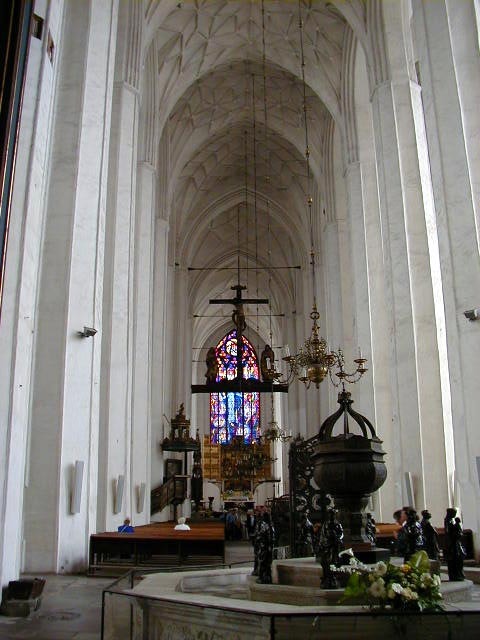 Many Poles had converted to Catholicism in the tenth century and thought this was completely unnecessary. However the knights had sold the Pope on the idea and were proceeding to conquer pagan and Catholic territories alike with lots of support from the rest of the Holy Roman Empire. 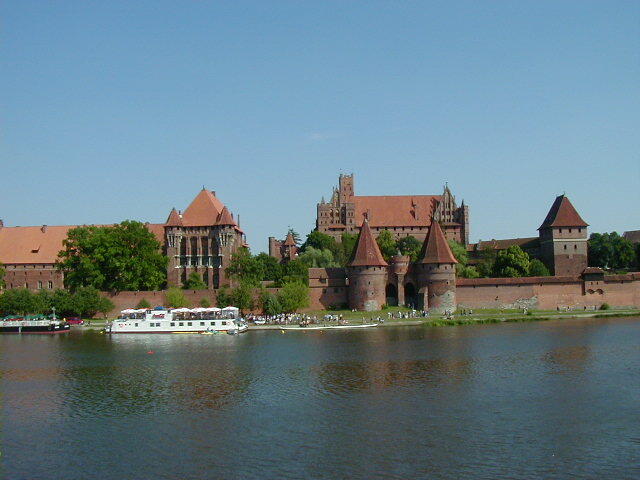 The Teutonic Knights were successful at this and became very rich, powerful and unpopular, so they built a castle to defend and rule their conquests. A really big castle. The original castle took twenty years to put up, but it was expanded enormously over the next 150 years. It changed hands several times since then and was partially destroyed in some of the wars that followed. 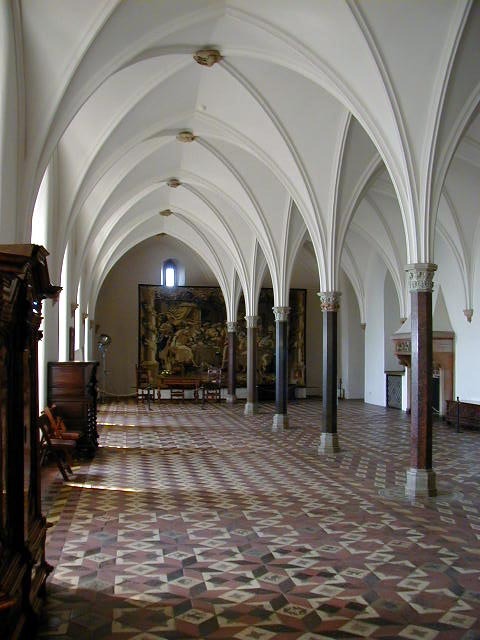 It has since been restored to its fourteenth century form. 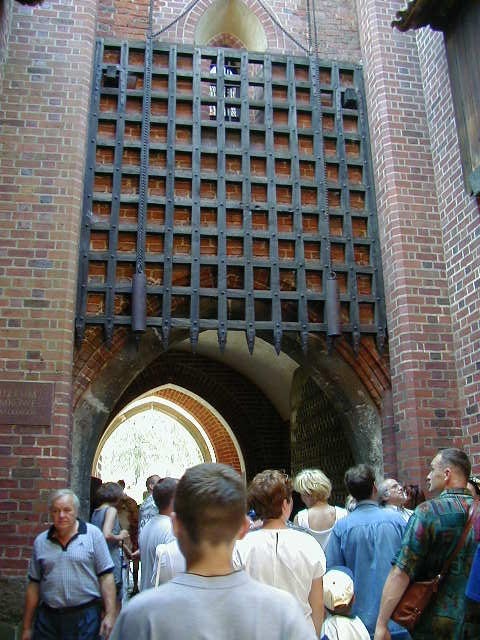 I went on a tour with a guide that gave lots of information, all in Polish. So I just followed the tour and took pictures. 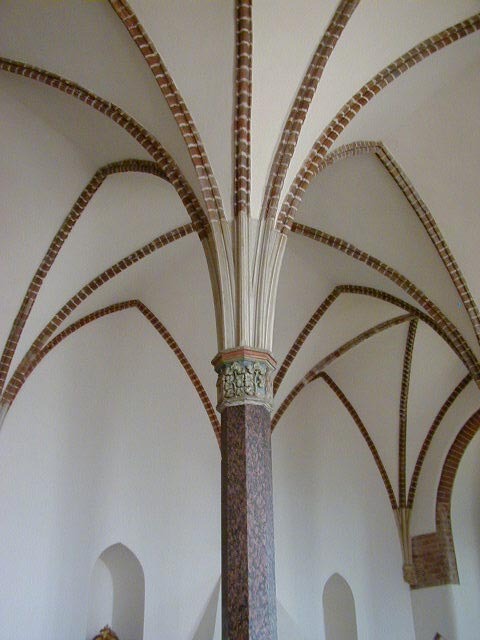 What follows is only a very small part of Castle Marlbork. You need aerial photography to capture all of it. 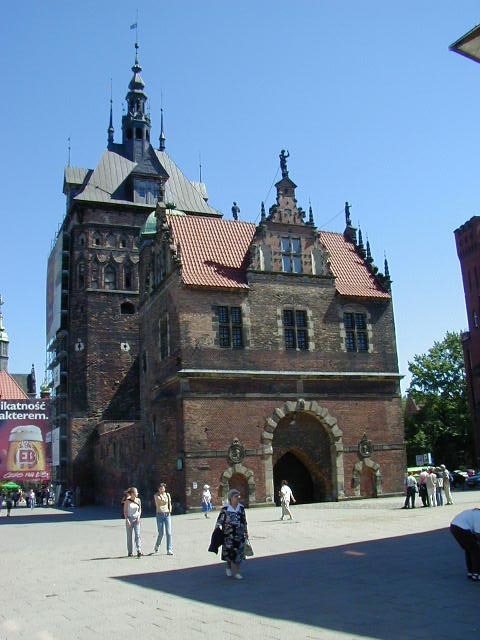 Here's some interesting trivia--the original Prussians were a pagan Slavic tribe that lived along the Baltic coast and were raiding local kingdoms, including some Polish ones. 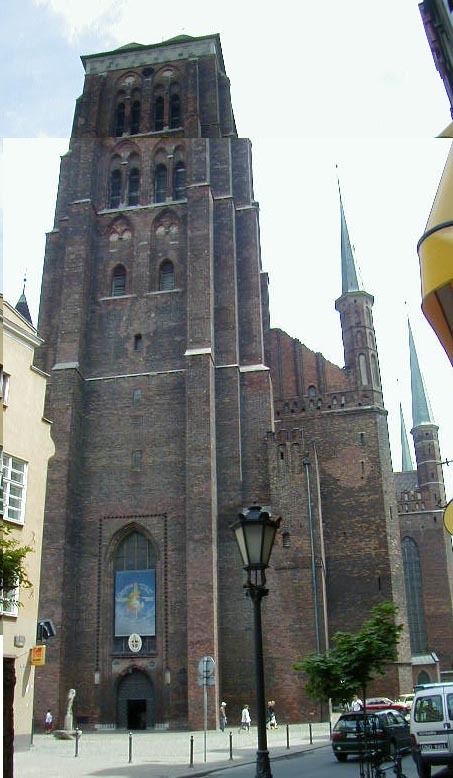 The Polish Duke of Mazovia offered the Teutonic Knights some land near Torun in exchange for their help in dealing with the Prussians. The knights eliminated the Prussian problem by eliminating the Prussians--they were completely wiped. The Teutonic Knights took the land offered and a lot more, and adopted the name of the people they had exterminated. That last part is bizarre but I've seen it documented in more than one source; the recent Prussians are descended from the people who exterminated the original Prussians. 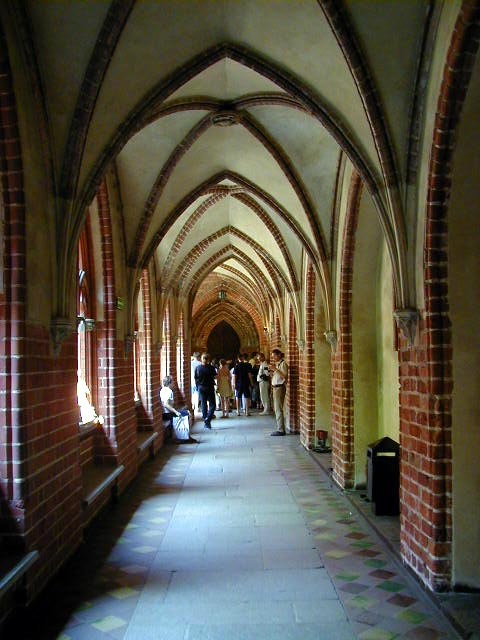 After Marlbork I returned to Gdansk and caught the train to the college town of Torun.